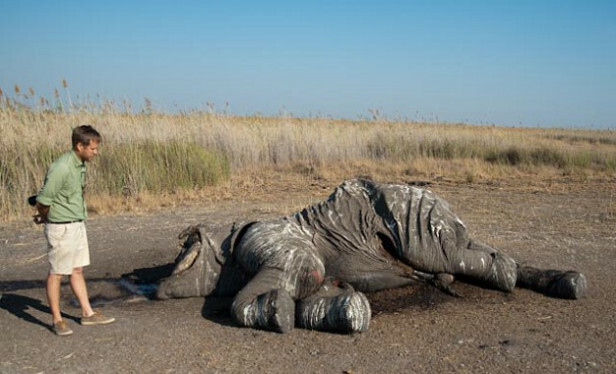 Dr Mike Chase grimly views a dead elephant. 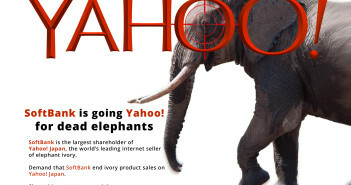 Copyright, Elephants without Borders. 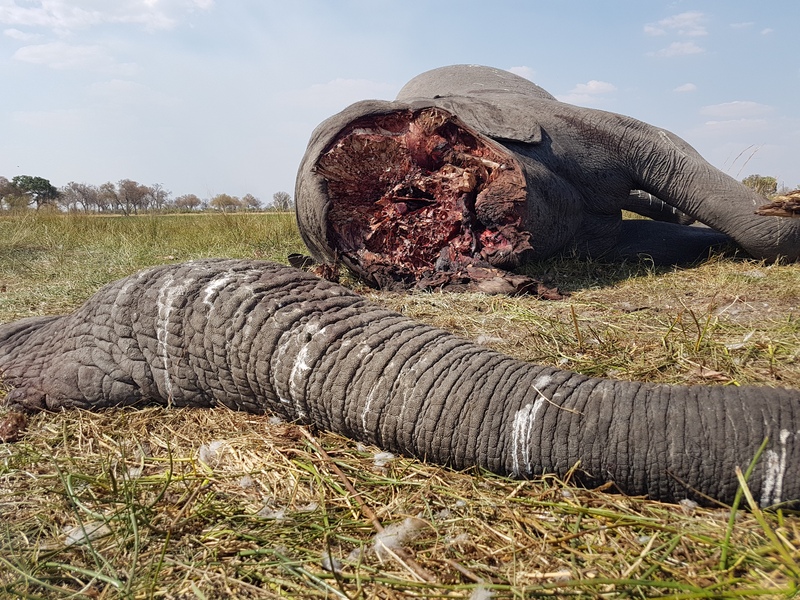 Last week, the carcass of a 40-year old elephant bull was found in Ngamiland, northern Botswana, partly covered with still green Mopane bushes and half of its skull hacked away by poachers to remove its tusks. 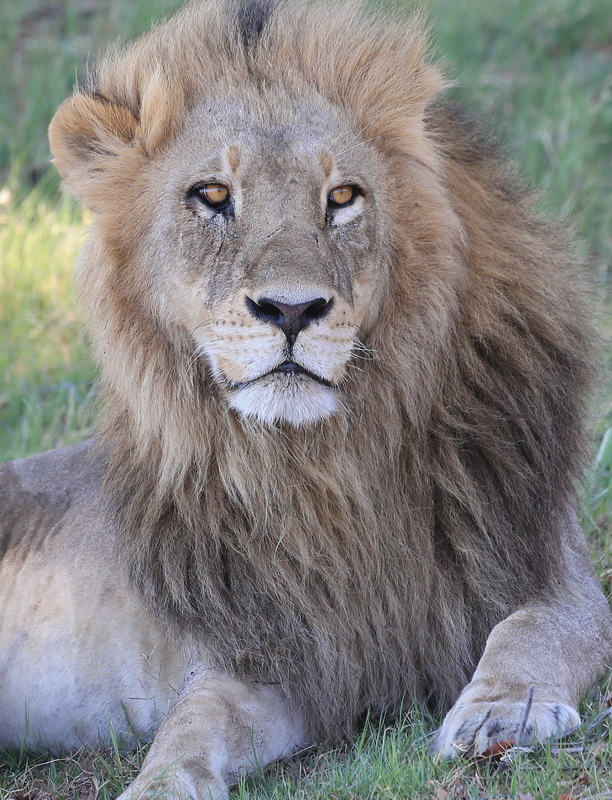 The bull was killed during full moon two days earlier. 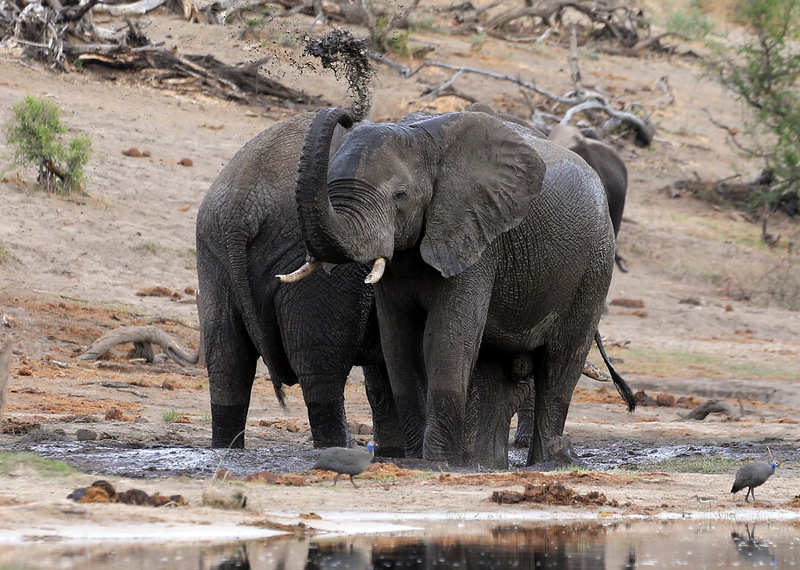 “This recent incident brings the total number of poached elephant carcasses since our elephant survey began to 55. 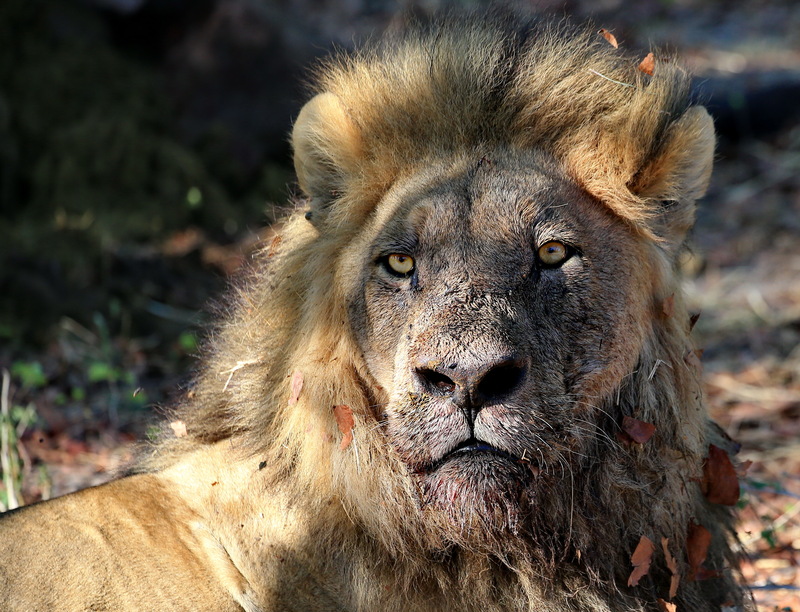 Thirty-three of the poached carcasses we suspect were killed in the last three months, while the remaining 22 are fresh and thought to have been killed within days of each other,” says Dr Mike Chase from Elephants Without Borders (EWB). 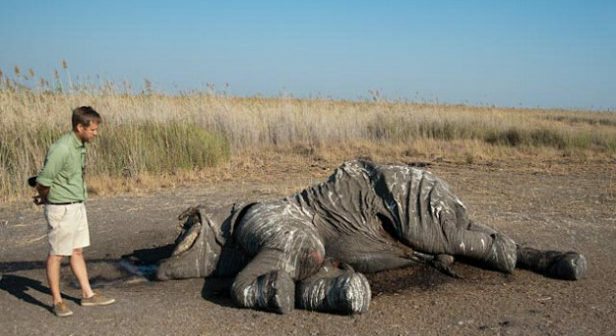 “The GPS locations of the dead elephants and photographic evidence were provided immediately to the authorities, who had no prior knowledge of these incidents,” Chase states. Additional poaching incidents have been reported to the authorities, such as the fresh elephant carcass found two weeks ago in Linyanti. 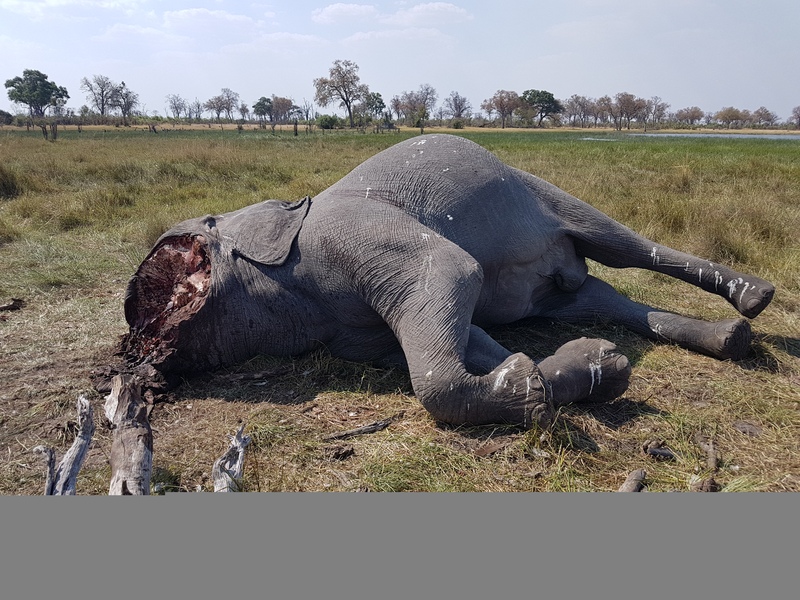 This incident was particularly brutal, as the elephant was found with a severed spine to stop it from moving while the poachers hacked its tusks away. 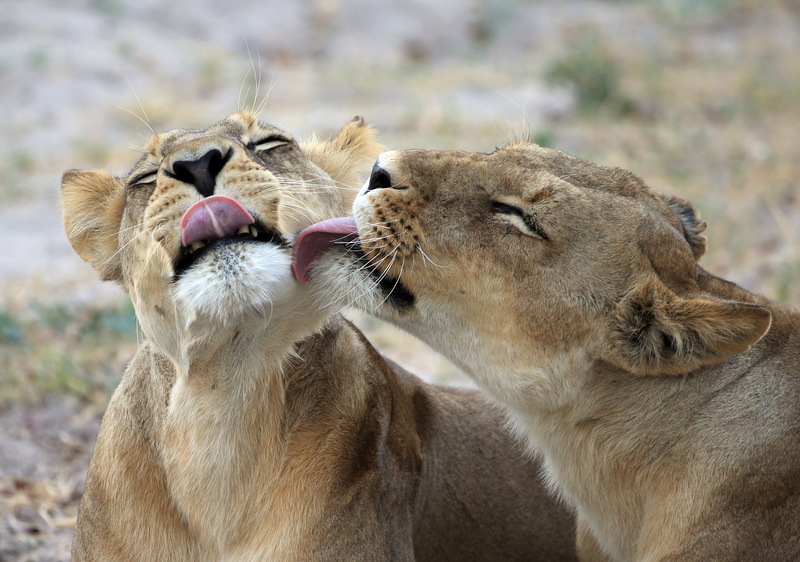 On the 5th July, EWB and the Department of Wildlife and National Parks (DWNP) started the 2018 wildlife census of northern Botswana, where its core conservation areas are located. This aerial survey, expected to be completed by October this year, is even more pertinent after a motion was tabled by Maun East MP Mr Kostantinos Markus. 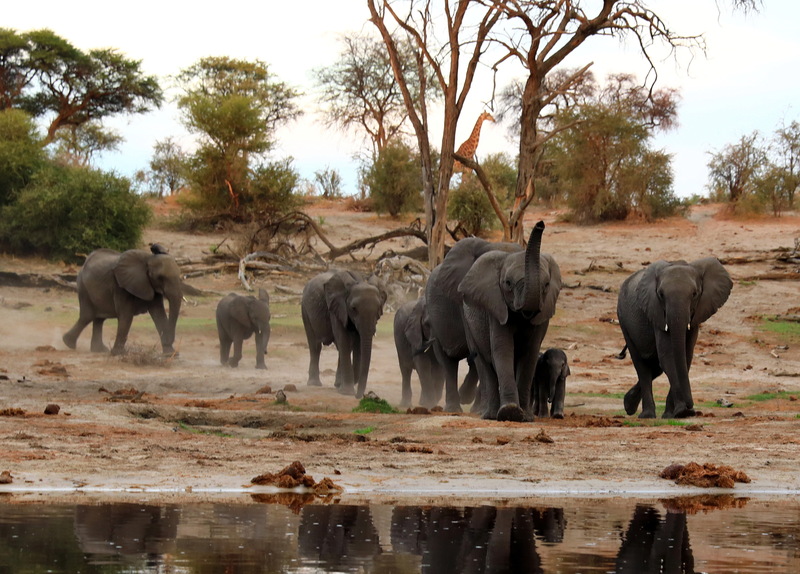 Markus proposed to lift the hunting ban on elephants in Botswana in areas outside of game reserves and national parks, especially in marginal rangelands, to reduce human-elephant conflict. 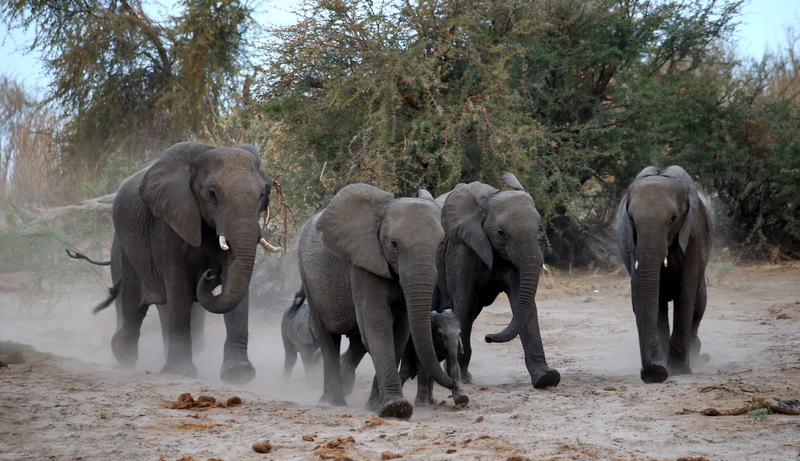 Conservation organisations, such as EWB, say lifting the hunting ban will have little impact on human-elephant conflict, such as crop destruction. 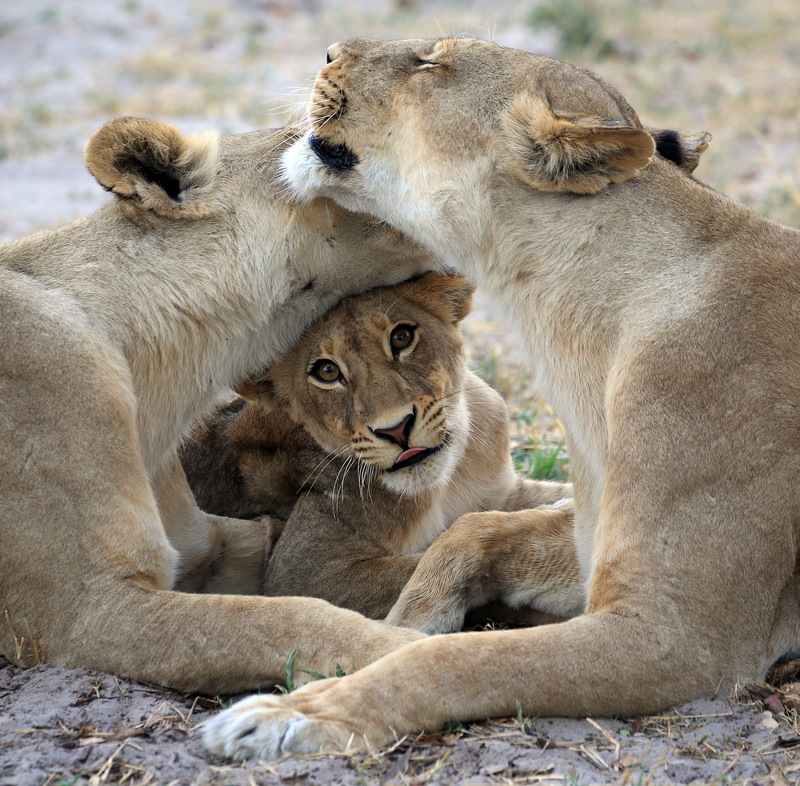 Trophy hunting targets mostly large bulls and happens during the dry season, while crops tend to be raided by young bulls or family herds during the rainy season. 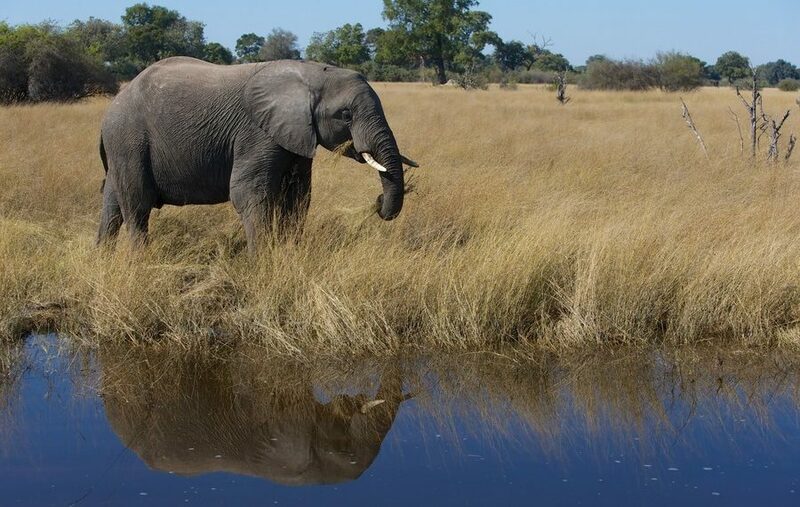 On Thursday, the Minister of Natural Resources Conservation, Tshekedi Khama condemned calls by the assistant minister of Presidential Affairs, Mochana Shamukuni, calling on residents of the tourist town of Chobe to shoot elephants on sight for causing damage to their crops. 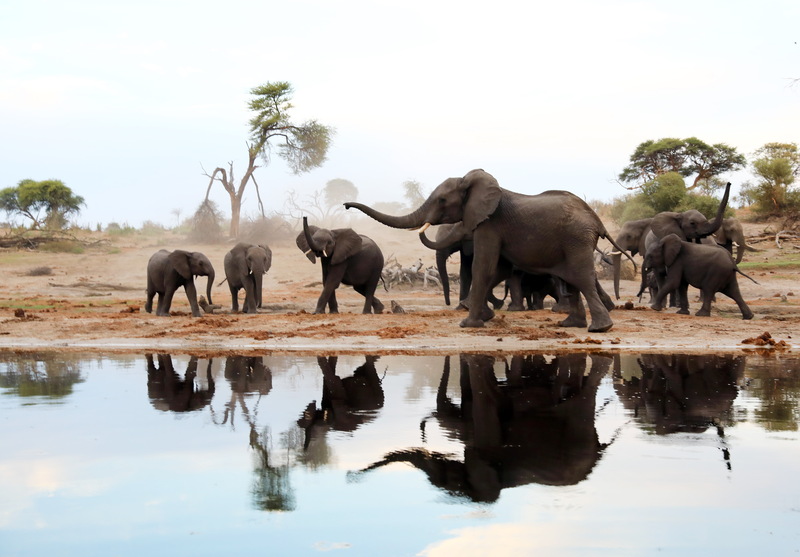 The 2014 Great Elephant Census counted a total number of 352,271 Savanna elephants across 18 African countries. It estimated that the overall elephant population has declined by 30% since 2007, which is believed to be primarily due to poaching. 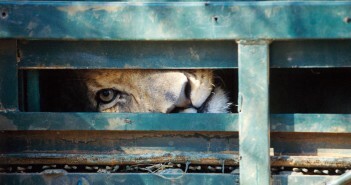 Botswana’s parliament passed the motion on the 21st June, reconsidering the 2014 hunting ban imposed by former president Ian Khama, after surveys showed declining wildlife populations in northern Botswana. 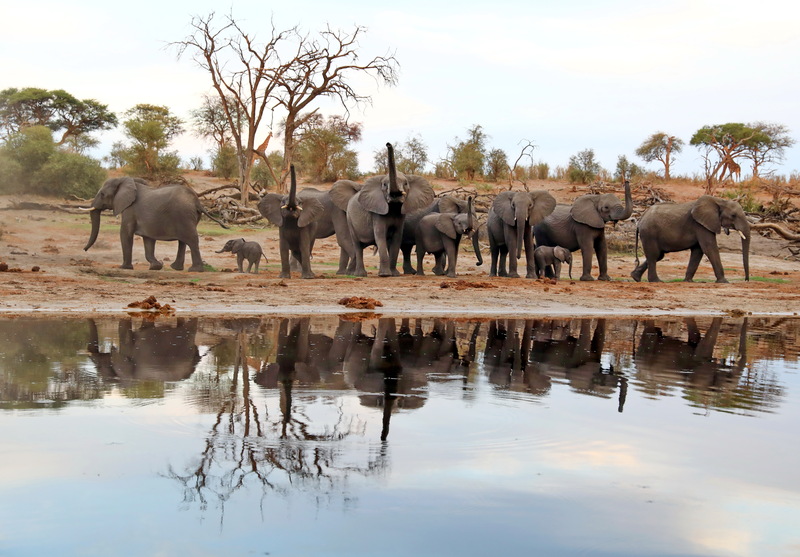 Botswana’s elephant population is estimated at 130,000 and has been stable for the past 15 years, although the population seems to be decreasing in the Chobe area. 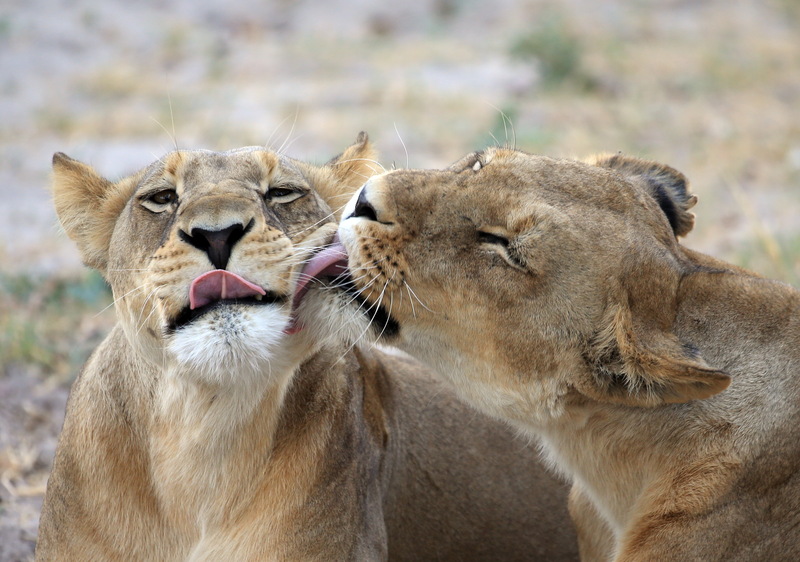 The current wildlife survey is planned to establish the latest numbers. 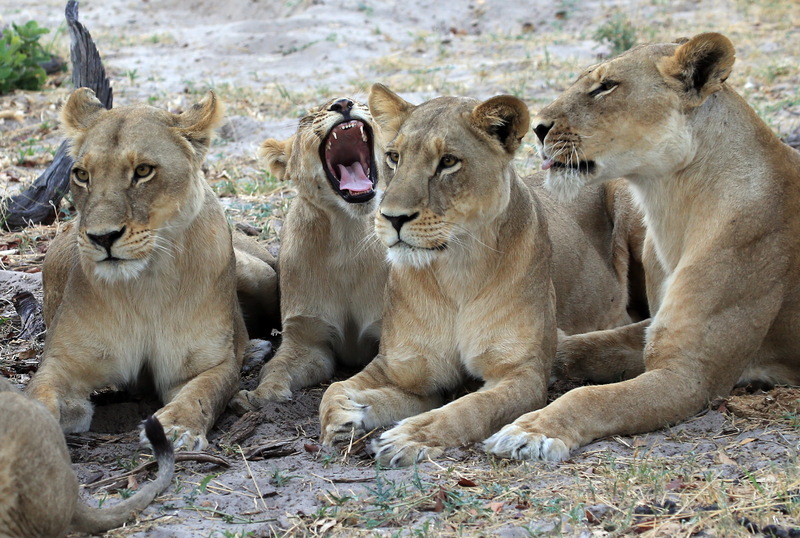 However, nobody expected the ongoing survey to highlight an increase in wildlife poaching incidents and especially not this early in the process. 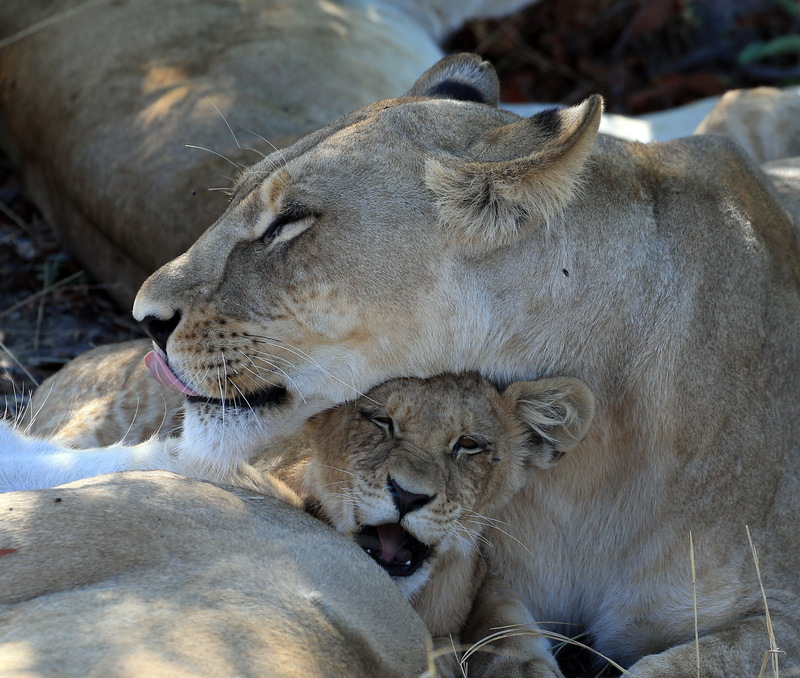 The number of fresh poaching carcasses found so far in the 2018 census is already more than recorded during the entire 2014 survey. 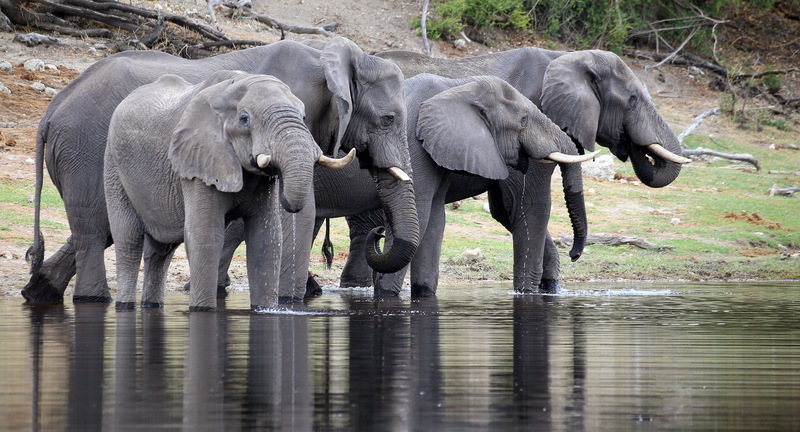 Poaching of wildlife and particularly elephant poaching occurs frequently along Botswana’s international borders and mostly foreign nationals have been implicated in ivory poaching and smuggling. 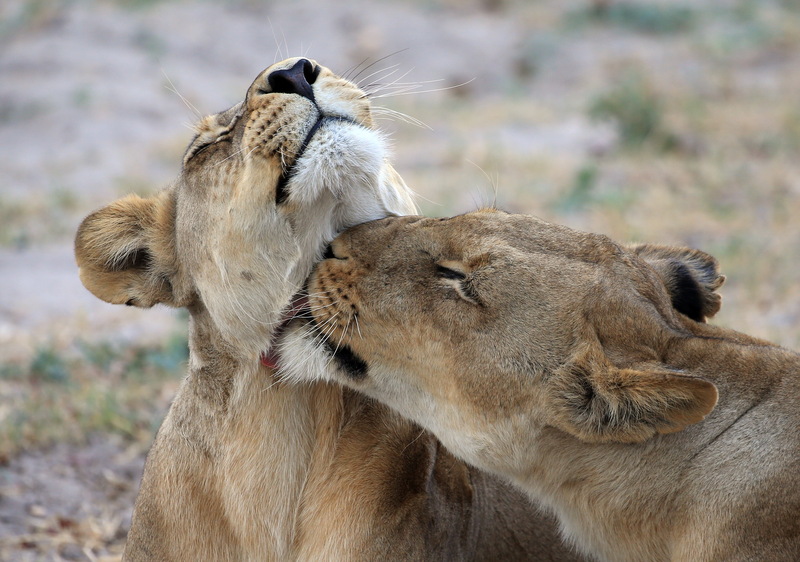 However, this new data shows that wildlife poaching is on the increase from within Botswana’s borders and in some cases even close to game drive tracks and safari lodges. A recent rhino poaching incident in the Ghanzi District, the second rhino poaching incident of the year in this area, is a further example of this trend and emphasises the need for the Botswana government to intensify their anti-poaching efforts. “On the 17th July, concerned by the increasing numbers of poached elephants the survey team was recording, I wrote a letter to His Excellency President Masisi, requesting his swift response to addressing illegal wildlife trafficking in Botswana,” says Chase.